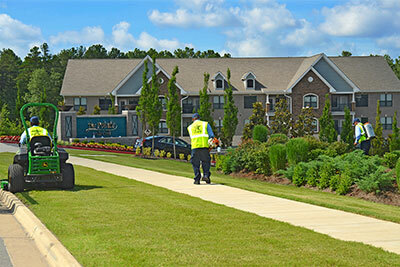 Follow these guidelines from U.S. Lawns to help determine your ideal maintenance crew size. As you plan the future of your landscape management business, it’s important to recognize that crew size drives profitability. If your crews are too big, you don’t make money; if they’re too small you don’t make money. Setting up your crews for the right size influences how profitable you are, but establishing the crew numbers to ensure you’re operating at peak efficiency is a complex thing. For starters, you must calculate how much revenue you need per person to cover all your overheads and make the profit you want. To get to that number, you need to factor in four variables. 1. Equipment. The amount of equipment you have on the truck dictates how much revenue that equipment must produce to cover its own cost, and it also governs crew numbers. For example, if you have a three-quarter-ton truck and a two-axle, 18-foot trailer with three mowers on it, this equipment is fixed overhead you have to pay for no matter what. So, depending on what your financials look like, you need to produce X dollars of volume to pay for that equipment. To produce that volume, you need X number of people in that truck. Now, here’s a key point on the subject of equipment expenses as well as other business costs: You cannot charge the customer for inefficiencies. Think about it this way: Say you just started out and bought a 48-inch mower, which will only cut grass so fast. Then you go out to price a job that really requires a 72-inch mower, which is 33 percent more productive than a 48-inch mower. You must bid the job based on that 72-inch mower, because your competition certainly will. Then, if you win the job, you must decide whether you want to buy the 72-inch mower, and if you do, you need to start looking for work that fits that size mower. It all comes down to having the right equipment for the jobs, and the right jobs for your equipment. 2. Route density. The distance between your job sites also plays a role in crew size. The farther apart the properties are, the fewer crew members you want in the truck, because you’re paying each of those people for travel time, and you don’t want to pay for any more unproductive time than you need to. 3. Property/job size. If you have small jobs, you can’t send a five-man crew to do them, because all their budgeted hours get sucked up by travel time. On the flip side, if you’re serving a bigger job site, five crew members may be perfect. You can get the whole job done in one day, so you’re not paying the extra hours and a second day’s worth of travel time for the crew to go back and finish the work. 4. Customer expectations. Knowing your clients’ expectations is another critical element. If you have a property that you could send 10 guys in and be finished in a day, but your customer expects to see your crew there every day, that’s a whole different dynamic. In this situation, it would be better to set up an onsite caretaker and just have the mow crew come through and spend a few days cutting the grass. That way you can be efficient with your equipment (it’s not just sitting on the job site all week) and you’re still meeting the customer’s need to have you there every day. Or how about a scenario where you’re running three-man crews, but you take on a big job where you’re expected to arrive on the job site and do all the work in a day. You must send a bigger crew to make that happen, so be prepared. What type of work should you be selling? When you’re first starting out, the jobs you bring on will automatically dictate your crew numbers, but as your business matures you’ll find that your targets start to shift. Just be aware. If your average crew is three people, don’t take on a bunch of postage-stamp jobs that only need one or two guys to get the work done. You’ll have too many people on the property (not to mention that you’ll be paying for ever-inefficient travel time). On the other hand, you know you have that three-man crew, so don’t target customers with big properties that need to be finished in one day. If you’re running all five-man crews, look for jobs where you can park that truck all day and all five of those guys can stay busy and not have to travel anywhere else. Or, your goal may be to have several different sized crews so you can serve a variety of customers. The most important point here is be selective about what type of work you take on and target work that fits your model. In the end, it’s all a matter of understanding how to balance route density, travel costs, equipment expenses, property sizes and customer expectations. 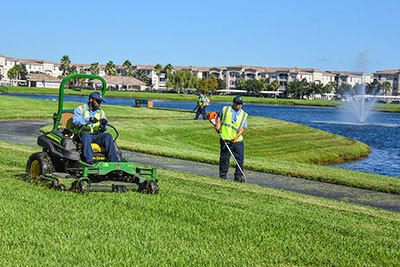 This is U.S. Lawns’ proven formula to determine more efficient crew numbers and ultimately, achieve higher profitability. It can work for your business, too.